We are happy to announce that we are starting our autumn learning season with a renovated classroom. Following renovations of our lobby and terrace with the intent to widen our networking and learning space we were during summer renovating one of the two main classrooms to improve in-class learning experience of our participants and offer them supportive and innovative learning environment. After successful collaboration with architect Jure Kotnik for the renovation of our lobby and our terrace we again teamed up with him to help us design a classroom that would support our participatory approach to learning. 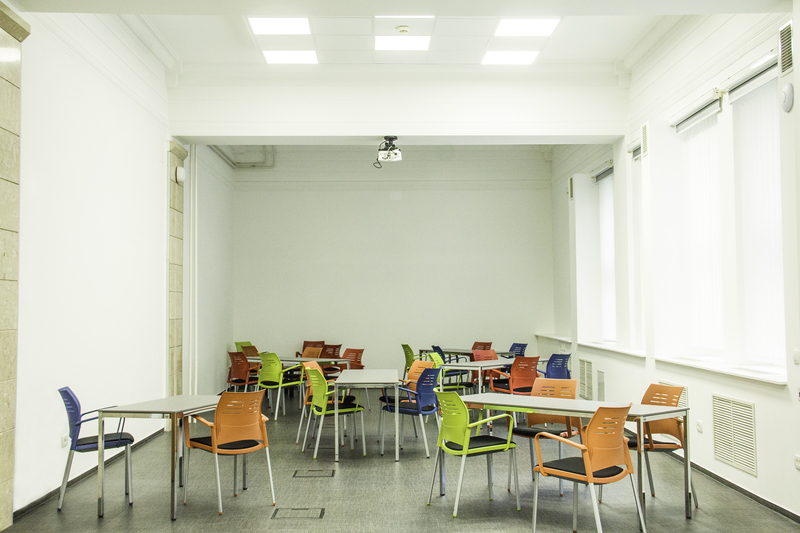 Renovated classroom will help us improve overall learning experience of our participants. New space will support more innovative learning, enable different learning activities and groupings for more creative and open knowledge sharing. 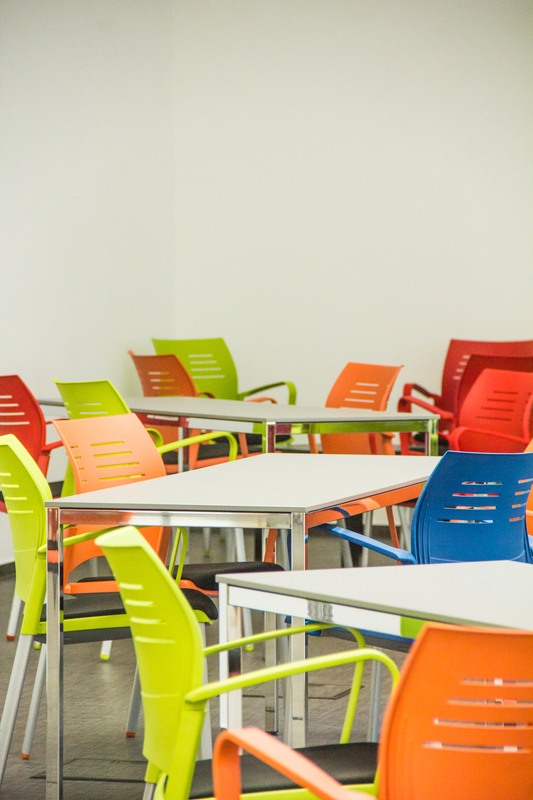 Furniture and equipment will support flexibility and adaptability of the learning space. Our renovations of the lobby and terrace were very well received among our staff and training participants. Renovated lobby of the CEF was featured as a best practice in educational facility investments at the OECD Centre for Effective Learning Environments (CELE) and as a facility of the week. We are looking forward to the new learning season and to welcome you in improved learning space!